Award Winning Blinc Mascara Now in at Powder! VOTED BEST WATERPROOF MASCARA By Marie Claire. View all press features here. 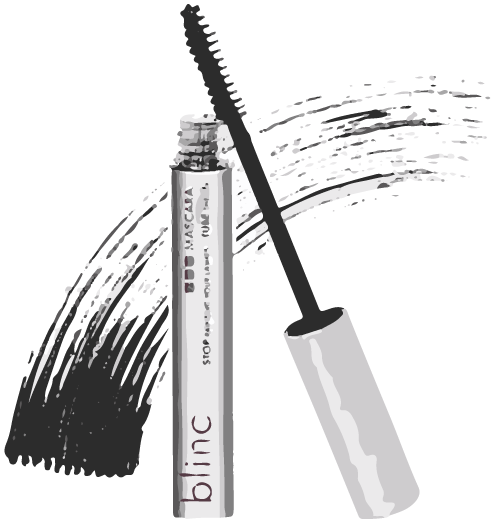 Blinc is the original mascara invented to form tiny water resistant tubes around your lashes. Once applied they cannot run, smudge, or clump or even flake even if you rub your eyes. Blinc is better than waterproof mascaras. All it takes is the combination of lots of warm water and gentle pressure, from your fingertips, a washcloth or water pressure (i.e. shower) and the tubes will slide off your lashes effortlessly. Upon removal you will actually see the tiny beauty tubes in your hand! So if you have never tried the famed, iconic and cult Blinc products then come and give them a go. Powder currently have a special in store offer price of £17 each or 2 products for £30! Tester sizes are £2.50 each! 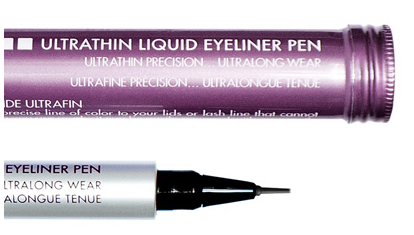 Also indroducing the all new Blinc Ultra Thin Liquid eyeliner pen. Long lasting and waterproof. The most precise brush available in the cosmetics Industry. Another popular Blinc product is the eyebrow mousse. Blinc’s Fountain of Youthful Colour™ Eyebrow Mousse is the original eyebrow mousse invented to give enhancing, water-resistant and moisturizing colour to your brows with anti-aging benefits for the underlying skin. 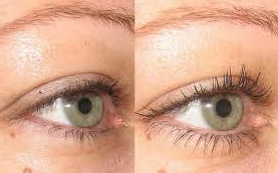 Powder are now also offering semi permanent mascara that lasts for 4 weeks. Great if you wear lash extensions on the top lashes this can be applied to the bottom lashes. We charge £35 for top & bottom lashes and £15 for just bottom lashes. The treatment takes around 20 mins. Please call 01273 720055 for bookings and more info.